hd00:05Bride with bouquet of orchids and roses in hand, girlfriend in the background. Average plan. Filmed in the setting sun. hd00:16The girl holds two hands on the shoulders of a man with a beautiful bouquet in his hands. Two young people stand in the park embracing. 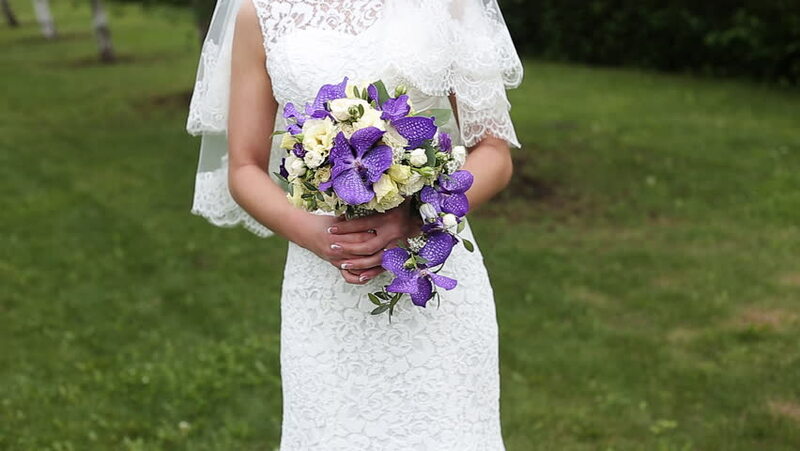 hd00:15Well-dressed young bride holds a beautiful Bouquet Of Flowers. Wedding dress fluttering in the wind close up slow motion. hd00:10Cute Little Girl Having Fun and Spinning in Park . Slow Motion.